You may call or email us with appointment inquiries any time during office hours. The phone number to make an appointment is (310) 829-4484. If you can't make it to your appointment, please cancel 24 hours before it is scheduled. Failure to do so will result in a $50 fee. Although we accept most PPO insurance, please check with your insurance company to make sure we are a provider for your plan before coming to your appointment. We do not accept any HMO plans. Please call our office if you have any questions about coverage. All providers also take Medicare. Please bring your photo ID and insurance card to every visit. We take Visa and MasterCard, American Express, debit cards, cash and check. All cosmetic procedures must be paid in full the same day. 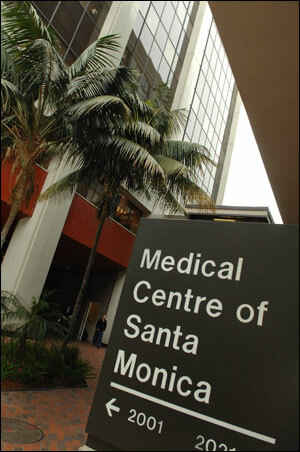 We offer a comfortable office setting with views of Santa Monica and the coastline from every patient room. Our facilities are state-of-the-art and we have many of the current lasers including the IPL (Photofacial laser), laser hair removal, nonablative fractional laser (Fraxel), ablative carbon dioxide laser, and ablative fractionated carbon dioxide laser (Pixel).